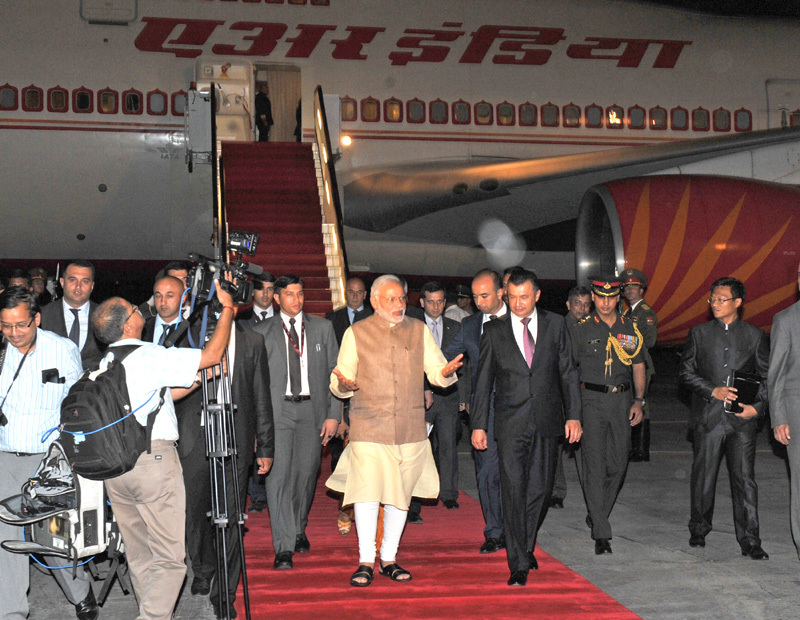 The Prime Minister, Shri Narendra Modi being welcomed on his arrival in Tajikistan on July 12, 2015. The Prime Minister, Shri Narendra Modi being welcomed by the Prime Minister of Tajikistan, Mr. Qohir Rosoulzoda, on his arrival at Dushanbe International Airport, Tajikistan on July 12, 2015. 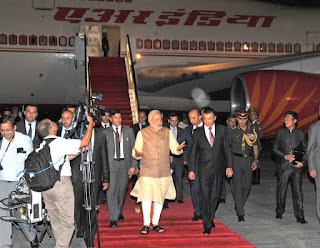 The Prime Minister, Shri Narendra Modi departing for Tajikistan, from Manas International Airport, Bishkek, Kyrgyzstan on July 12, 2015. 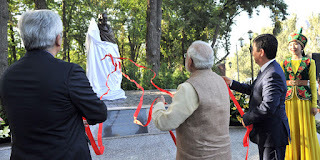 The Prime Minister, Shri Narendra Modi and the Prime Minister of Kyrgyz Republic, Mr. Temir Sariyev unveiling the Statute of Mahatma Gandhi, at Mahatma Gandhi Avenue, in Bishkek, Kyrgyzstan on July 12, 2015. 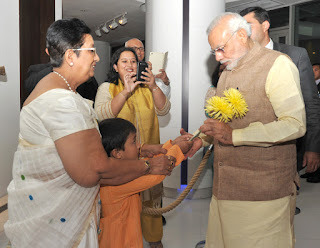 The Prime Minister, Shri Narendra Modi inaugurating the Tele-medicine link between India and Kyrgyzstan at National Centre for Cardiology & Internal Medicine, in Bishkek, Kyrgyzstan on July 12, 2015. 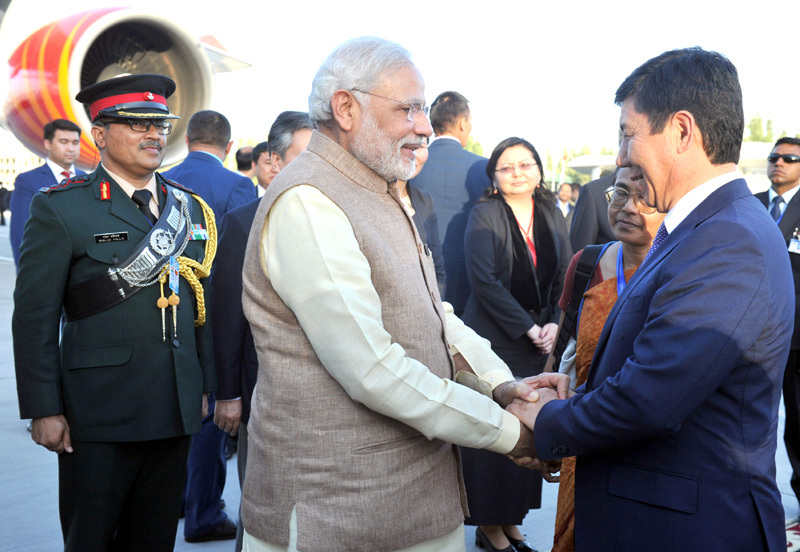 The Prime Minister of Kyrgyz Republic, Mr. Temir Sariyev is also seen. 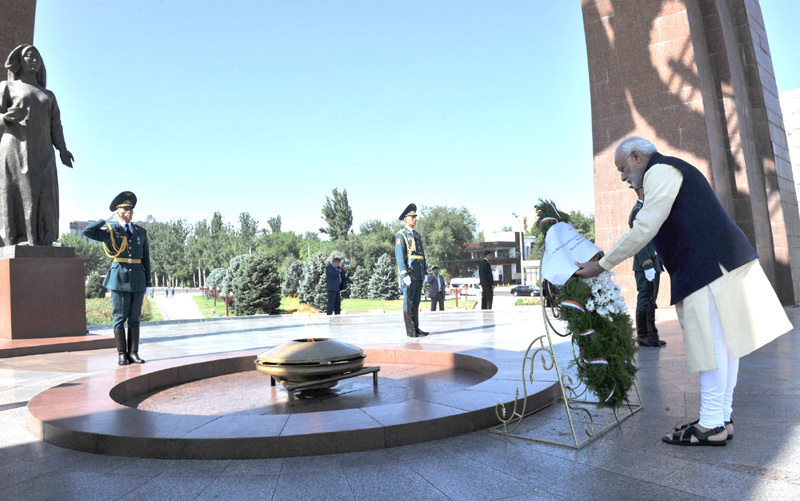 The Prime Minister, Shri Narendra Modi laying the wreath to pay homage to the martyrs, at the Victory Monument, in Victory Square, Bishkek, Kyrgyzstan on July 12, 2015. 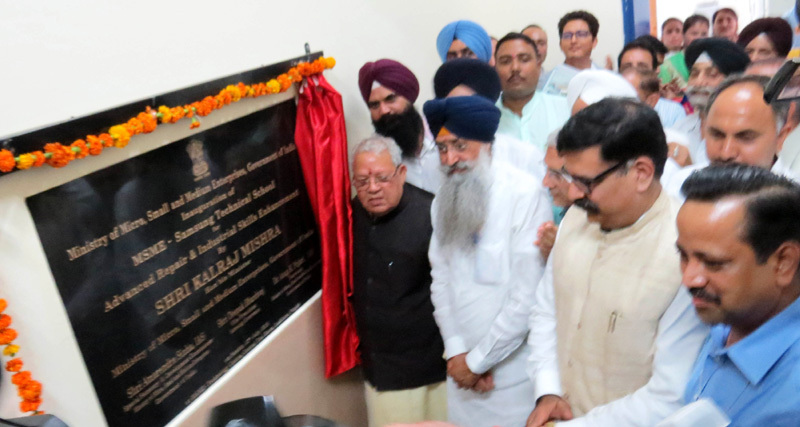 The Union Minister for Micro, Small and Medium Enterprises, Shri Kalraj Mishra inaugurating the MSME-Samsung Technical School, in Ludhiana on 12 July, 2015. The Irrigation Minister of Punjab, Shri Sharanjit Singh Dhillon and the Vice President, Samsung Electronics, Shri Deepak Bhardwaj are also seen. The Union Minister for Communications & Information Technology, Shri Ravi Shankar Prasad unveiling foundation stone for Dimapur Mukhya Dak Ghar building, in Agartala on July 12, 2015. 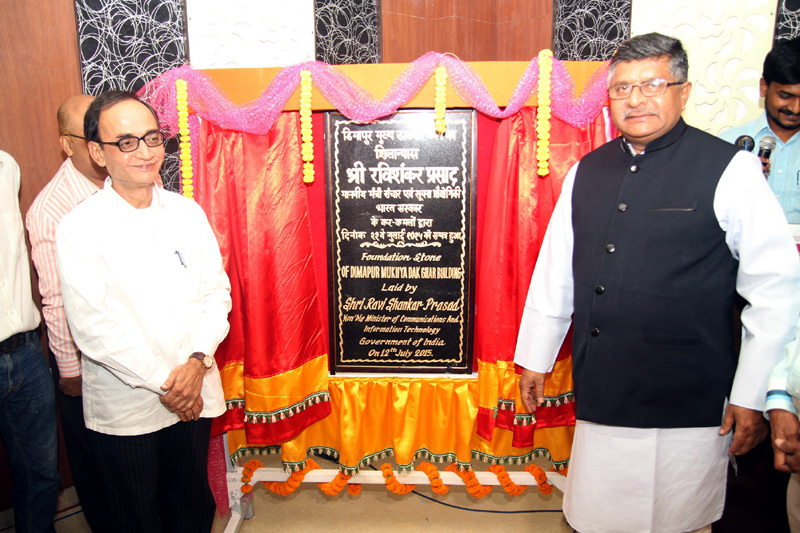 The Minister of Information Technology, Tripura, Shri Tapan Chakraborty is also seen. 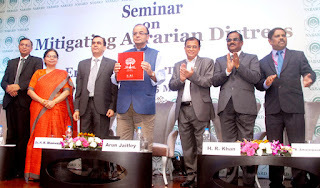 The Union Minister for Finance, Corporate Affairs and Information & Broadcasting, Shri Arun Jaitley releasing the book on ‘Rural Infrastructure Development Fund’, at the NABARD National Symposium on Mitigating Agrarian Distress and Enhancing Farm Income, in Mumbai on July 12, 2015.